FatCow is one of the leading green Web hosts, and they take green energy very seriously. Offering shared hosting for their customers, their service is basically for new website owners and small business owners who want a Web presence. It is very easy to use the FatCow service, and the pricing structure is very affordable. While their website may seem full of silly puns—like “Moo Crew” support — don’t let that fool you. FatCow means business, and they take their hosting services very seriously. Like most shared hosts, FatCow offers an unlimited amount of disk space, domains for your account, email addresses, bandwidth and databases. Unlike most services, where you get cPanel to control your website, you actually get a customizable control panel that can be very useful. As with their website builder, you don’t need to know any programming languages to customize the control panel. You will also gain FTP access to your website, and their support network is able to help you over the phone or through live chat. They also boast a 99.9% uptime, so you shouldn’t discover many downtime errors when you host through them. When you first sign up with FatCow, you are given access to their introductory rate. For a 12-month plan, you can sign up for $3.67 a month, which rounds out to $44 a year. This price is very affordable, and it beats out most other introductory prices. After that, you need to renew at a higher price. However, their normal pricing is also quite affordable. 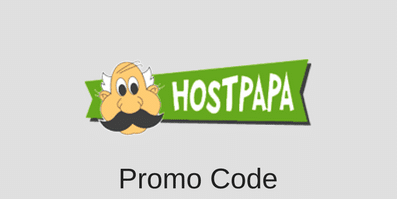 The introductory price also includes free setup and a free domain for one year. The setup fee does not need to be renewed, but the domain will have to be. Depending on the TLD you used, the charge will roughly be about $10 to $15. Visit FatCow to learn more about their shared hosting plan. The FatCow reseller program is one of the best priced out there, but it is a little difficult to find on their website. Go to “Partnerships” at the bottom of the page, and then you can find the resellers page. Aside from being difficult to find, the program itself is quite good. The price is only $49.95 a year. That is only $2.95 a month. Not only that, but domain registration and domain privacy prices are also discounted, so you can try to make some money on these as well. FatCow’s customer service is very knowledgeable and friendly. You can contact them via phone, email or live chat. Most individual reviews praise their customer service skills, but there are a few that say the technical service is not quite as good with highly technical problems, like firewalls blocking a user’s IP. However, this is a small percentage, and most people are very happy with the support they receive. FatCow has done everything in its power to be completely off the grid, trying to only use renewable energy. This Web host is powered 100% by wind energy, and this includes all parts of their business. The servers, offices and everything else are only powered by wind. There is a lot to like about FatCow, but there are a few places where they are lacking. They don’t support many programming languages, and there are only a few scripts and applications you can install, like WordPress and phpBB. Not only that, but they only have shared hosting and no VPS options. However, in the shared hosting department, they are quite good at what they do. If you just need a basic website, without the need for extensive programming languages, then FatCow should be great. If you like using Ruby, Python and Perl, and if you have some extensive data requirements, then it might be best to move on to a host with more power and offerings, like GreenGeeks. You can visit the FatCow website at FatCow.com. This entry was posted in Web Hosting Reviews on March 1, 2012 by WHR.